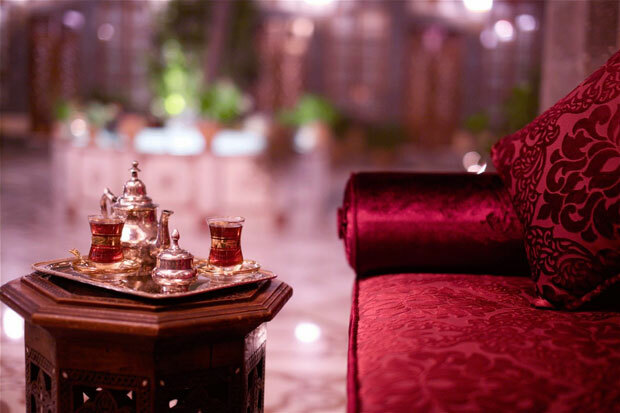 Our Shai lounge, located in the old “qa’a” or reception hall with its 9-meter high decorated ceilings, invites you to sooth yourself with a hot cup of fresh Damascene herbal tea. 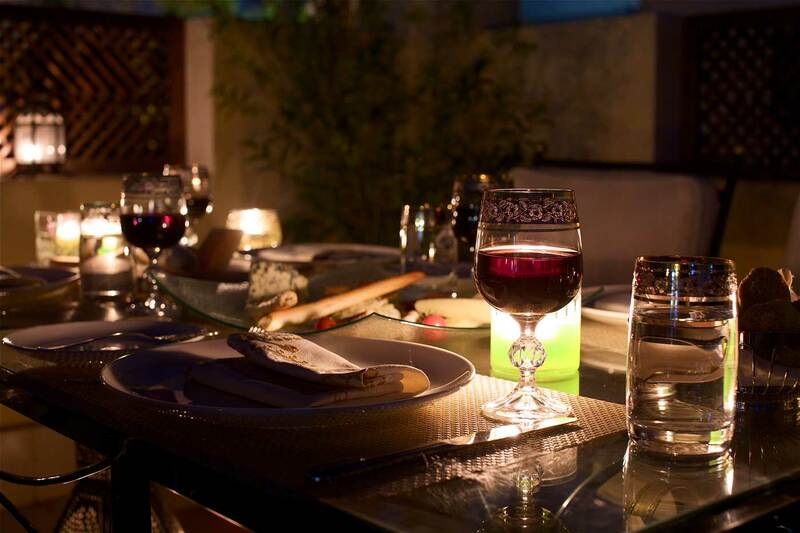 Just up on the roof lies our terrace (La Veranda), a lush dining and relaxation spot with a splendid view of the Old City and Qassioun Mountain. 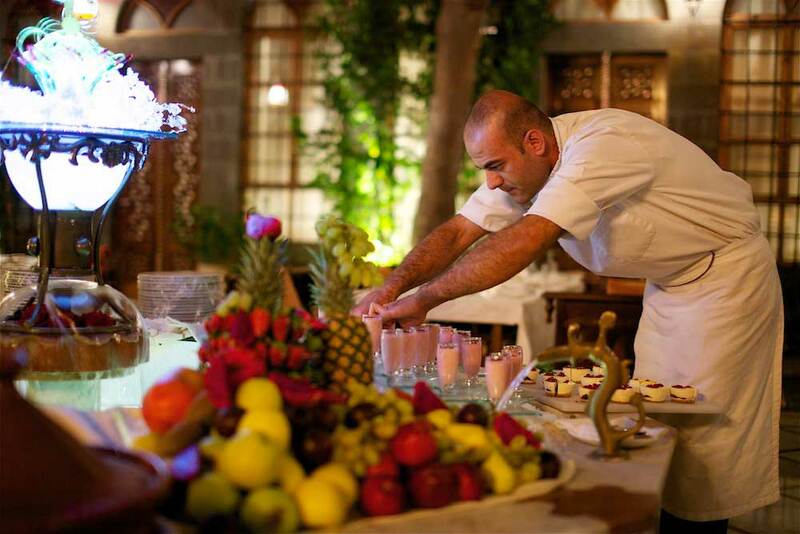 In the winter, our chic Mooneh restaurant, located in the old vaulted “mooneh” or cellar, offers an intimate, romantic setting to enjoy a delicious meal.